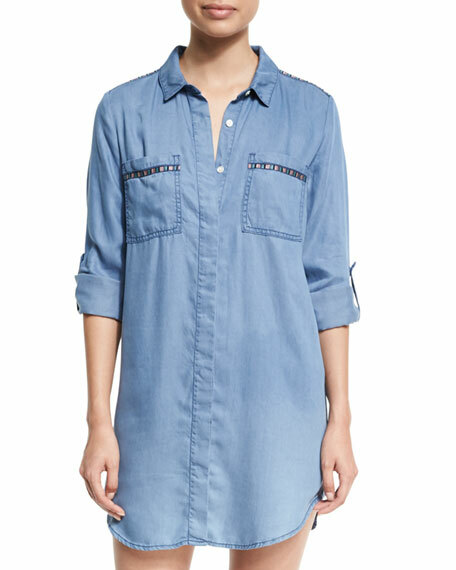 Seafolly beach coverup shirt/tunic in washed chambray with embroidered trim. 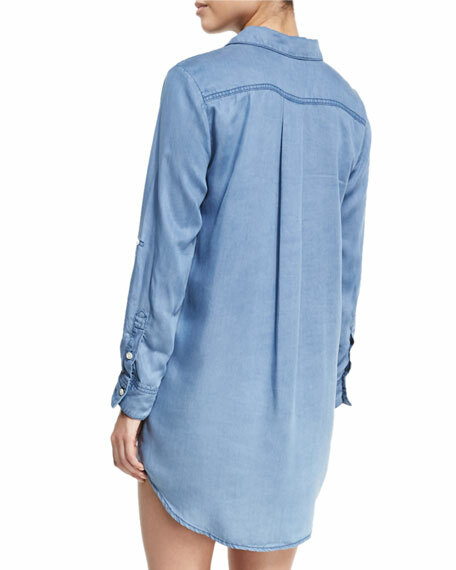 Spread collar; hidden-placket button front. Long sleeves; roll-tabs for cuffs. For in-store inquiries, use sku #2183091.